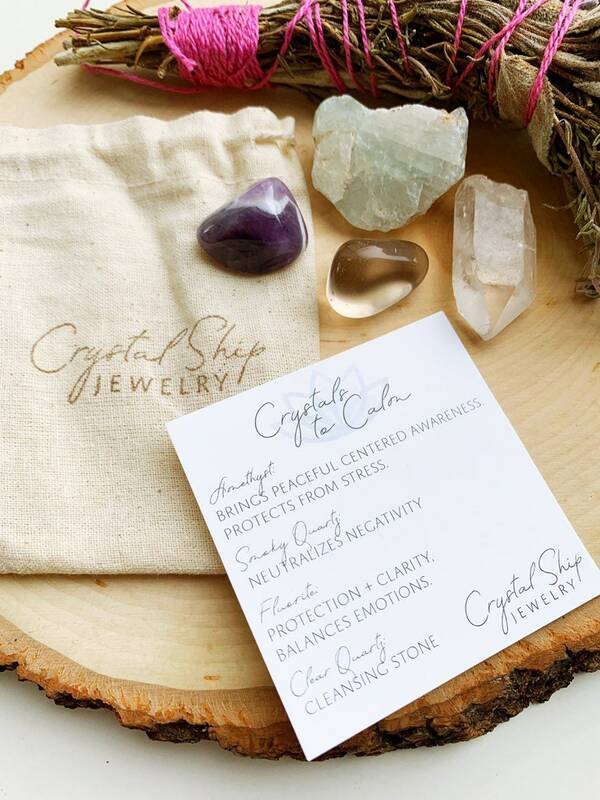 Set of 4 hand picked crystal stones to calm and protect. Includes a small Amethyst, Smoky Quartz, Fluorite and Clear Quartz. Perfect size to carry with you. Includes pouch. All of our pocket crystals and jewelry is cleared using Sage and Palo Santo before going to its new home.